Support calculation and analysis of several sectors projects, performed at discipline level through a common and user friendly environment, with flexible level of accuracy. 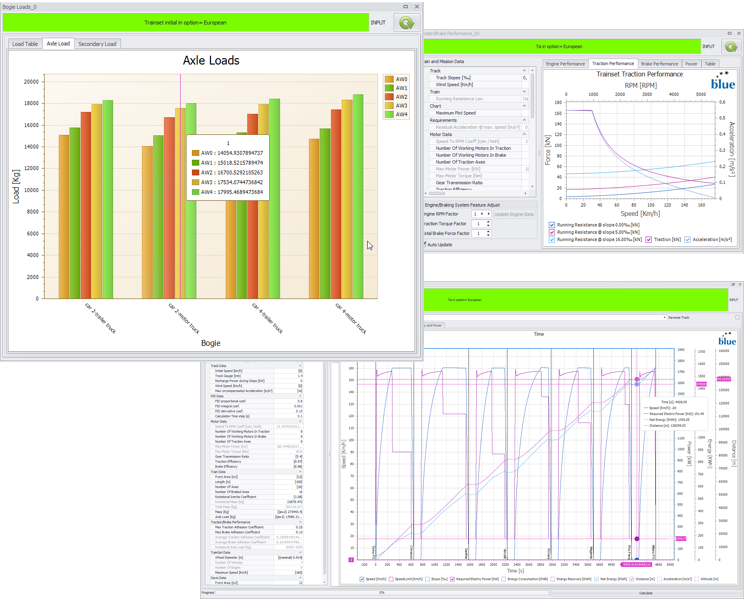 Can describe missoin scenario, run computation processes, analyze the results and easy build reports with curves pictures ana animations. Concurrent Engineering approach is assisted by using OCDT as model repository. Developed by Blue Engineering in collaboration with Thales Alenia Space in Italia. 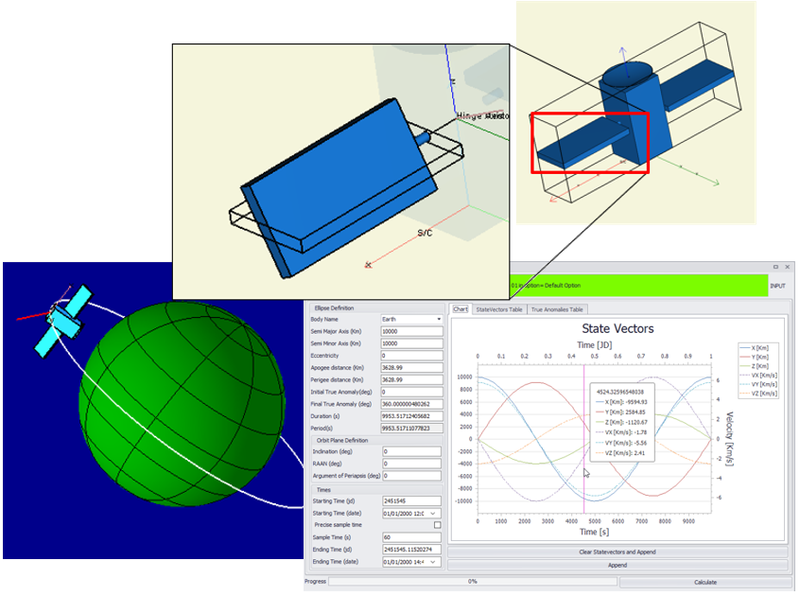 Model is fully parametric, parameters values can be evaluated including formulas. Data is shown by trees or grids, can be exported by a simple copy paste operation. 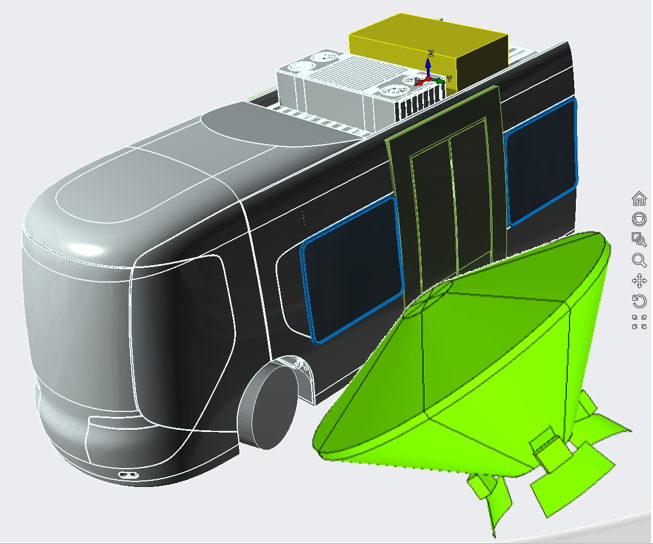 Configuration editor included in the 3D viewer, to speed up layout design. Imports geometric data from CAD. Extensions plugins includes algorithms, parameter types, model templates viewers etc. Eclipse and Ground station visibility calculator. 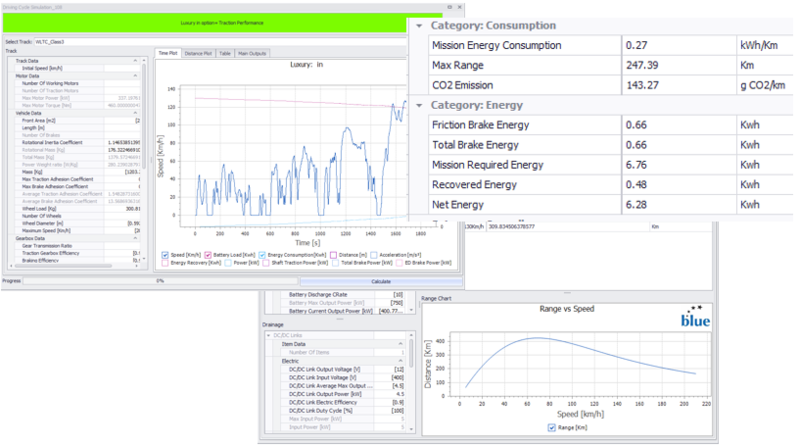 Design of power and energy requirements for a full electric car. Design of power and energy requirements for electric diesel and battery powered trainset.